More than just a beer festival. The day culminates with the Pint-n-Bite Grand Tasting. A broad community of brewers will be featured alongside local chef prepared bites. This experience offers more than Happy Hour hors de oeuvres, as each bite is paired with a beer offering attendees new culinary ideas while delighting the senses. The Oklahoma State University School of Hospitality and Tourism Management is a leader in hospitality education. Further the students and staff have worked hard to build a world class symposium offering value alongside comprehensive content for anybody with a passion for beer. 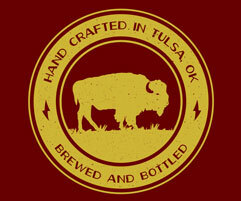 Oklahoma is developing diverse beer culture that has the attention of nation. 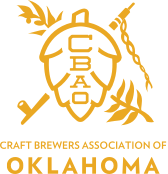 The Craft Beer Forum of Oklahoma advances that culture and helps spread the passion of craft beer through knowledge. Join us as a part of growing culture! Tickets are available HERE and offer value starting at $50 per person for the Pint-n-Bite Grand Tasting, $75 per person for the Stein & Sack Lunch, Sessions & Tasting. A host of other options upgrade your experience to include luncheons and demonstrations. More info below. Bio: The oldest member of the team or “The Godfather” as he is commonly referred to around the brewery, Wes is a self-proclaimed refugee from selling things less important than beer. As a native Tulsan, Wes’ connection to the Marshall family runs back decades. His love of craft beer, however, is more recent. Introduced to craft beer by the Marshall family in the early 2000’s, Wes has since developed a passion for spreading craft beer and the culture it brings. Need advice on pairing food and beer? Wes is our resident expert and hobby chef.